Pearson English Kids Readers make learning English fun, efficient and flexible. These stories for kids make bedtime, story time, or anytime come alive, thanks to stunning illustrations and photographs that move on the page. Whether you’re a parent or a childhood education specialist, you’ll be glad to know that our interactive activities give instant feedback to improve vocabulary, comprehension and fluency. Kids can read the levelled stories themselves, record their own voice, or have stories read to them. Read alone or read together, wherever! Try unlimited free samples and discover how Pearson English Kids Readers can help your child improve their English. Each sample includes an activity, animation, voice record and all the other app features. Pearson English Kids Readers include fascinating Content Language Integrated Learning (CLIL) enhanced ebooks ranged over six levels, carefully written so that young learners can find the level that’s comfortable for them. 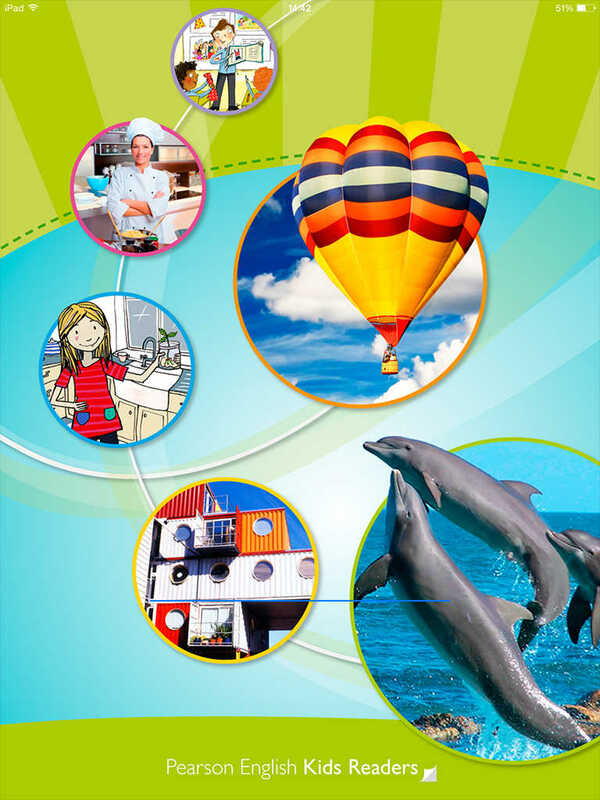 Kids can explore the environment, sport, music, sciences, animals, different cultures and many other topics in English. ● Instant feedback on activities - no marking required! Find out more about Pearson English Kids Readers at readers.english.com/kids/app. Questions or problems? Email us at pearsonelt@pearson.com, or find us on Facebook.